The Pet Peek looks like a neat idea for your dog. 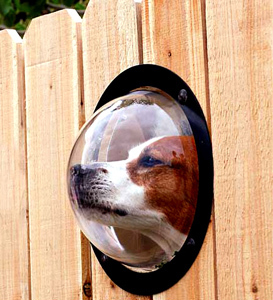 It’s a doggie window for your fence. 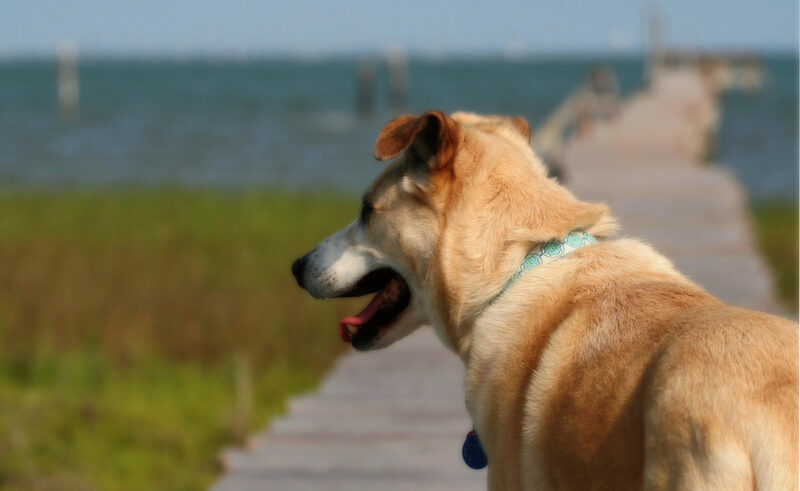 It has the benefit that the dog can stick it’s head past the fence and get a good view while still being safely contained behind the fence. And people or dogs passing by can’t reach your dog. Of course, depending on the size of your dog, you could always just cut a small hole in your fence. Just make sure it’s plenty small enough that your dog can’t fit through it. And be sure to reinforce the opening, so your dog can’t burst through if it sees something irresistible like a squirrel. If you aren’t handy, I’d stick with the Pet Peek. looks like an idea that could work for some humans too!